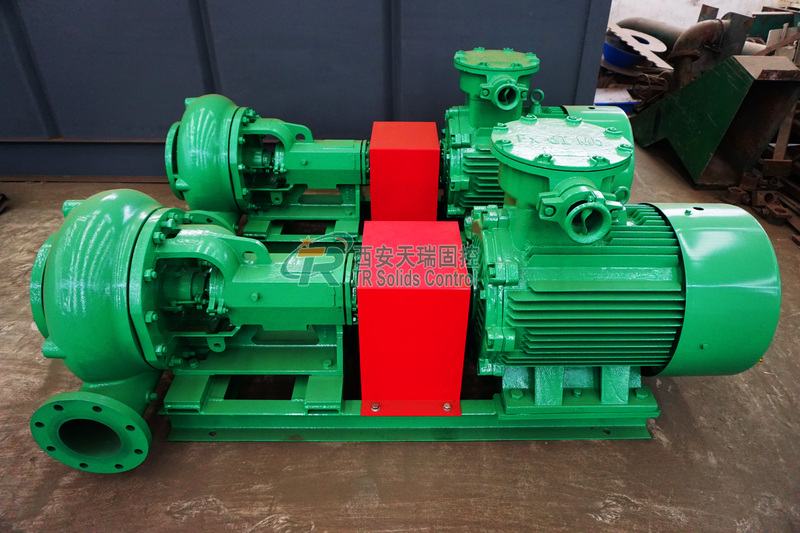 Green Mechanical Seal Centrifugal Mud Pump No - Adjustment API / ISO Approval for sale – Centrifugal Mud Pump manufacturer from china (108425407). TRSB series Centrifugal Pump is applied to transferring slurry or mud or water. It can be used as feeding pump for desander and desilter, or used as mixing pump for jet mud mixer. 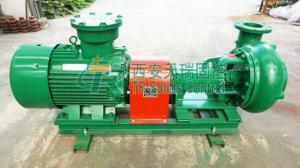 Also it can be used as trip pump, and supercharging pump for rig mud pump. All TR model centrifugal pump use tungsten carbide mechanical seal, with famous brand Bearing. And spare parts interchangeable with most of the international Brand pump which helps customer to source spare parts easily. Open impeller design that lowers axial thrust loads, and make it easier for installation, repair and maintenance. High anti-corrosive alloy mechanical seal. More durable and longer service life. Adopt Imported SKF bearing. More assurance on quality. Bearing lubrication can be oil and grease. Make bearing more adaptable and long life. Pump shell using alloy gray iron, longer life. 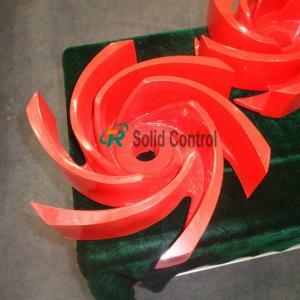 Alloy cast iron impeller, greater resistance to corrosion. Pump parts can be interchangeable with international brands. TRSB series centrifugal pump is widely used in oil & gas drilling, Drilling Waste Management, city bored piling, trenchless HDD, mining, Oil Sludge Dewatering Systems, Coal Bed Gas Solids Control System, Oil Mud Seperation, environment protection, Water Drilling etc. 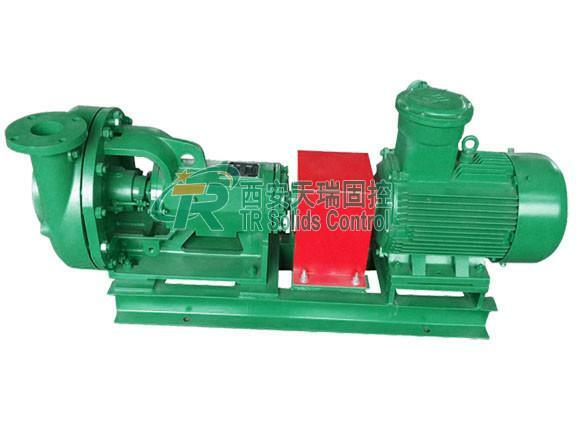 First determine the capacity equipped with your centrifugal sand pump. Generally when you choosing, the capacity should be a little larger than the matched equipment. There is a valve required in the centrifugal pump outlet to regulate flow rate. Ensure how much lift your centrifugal pump needs. Choose centrifugal pump with high lift, because the loss of pipe line is very large. If you use centrifugal pump for supplying mud to the desander and desilter, you'd better choose a lager capacity centrifugal pump. Because the desander and desilter require very strict in the pressure. If the chosen capacity of centrifugal pump is too small to supply the desander and desilter, the pressure is insufficient. Therefore, it will influence the working effect of desander and desilter. The open vane structure impeller reduces the shaft load to minimum, more suitable for transferring high density and high viscosity mud. increase the output and efficiency. 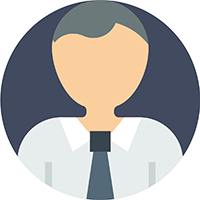 Utilizing wear-resistant materials for the key parts to prolong the service life. Axial adjustment structure makes it free to adjust the clearance between impeller and mechanical seal, ensuring equipment operation more reliable. A variety of pump casing and impeller can meet different requirements of the customers. The same power frame reduces the spare parts. Are you finding a centrifugal pump manufacturer for your mud treatment problem? TR Solids Control is your best choice. As a professional and innovative specialist in this industry for more than 10 years, we could provide top quality solid control equipment and satisfying solution. Contact with us for more details about our desander, mud tank, shale shaker, decanter centrifuge, mud cleaner, mud agitator, vacuum degasser, shaker screen etc. 1. We offer high quality products at competitive price. 5. Most of our equipment can be replaceable with international brands. 6. Our products have been exported to Argentina, Egypt, US, Australia, Romania, Pakistan, Dubai, Abu Dhabi, Iran, India, Indonesia, Vietnam, Malaysia and many other countries. Customer's satisfaction is the highest pursuit of TR Solids Control.